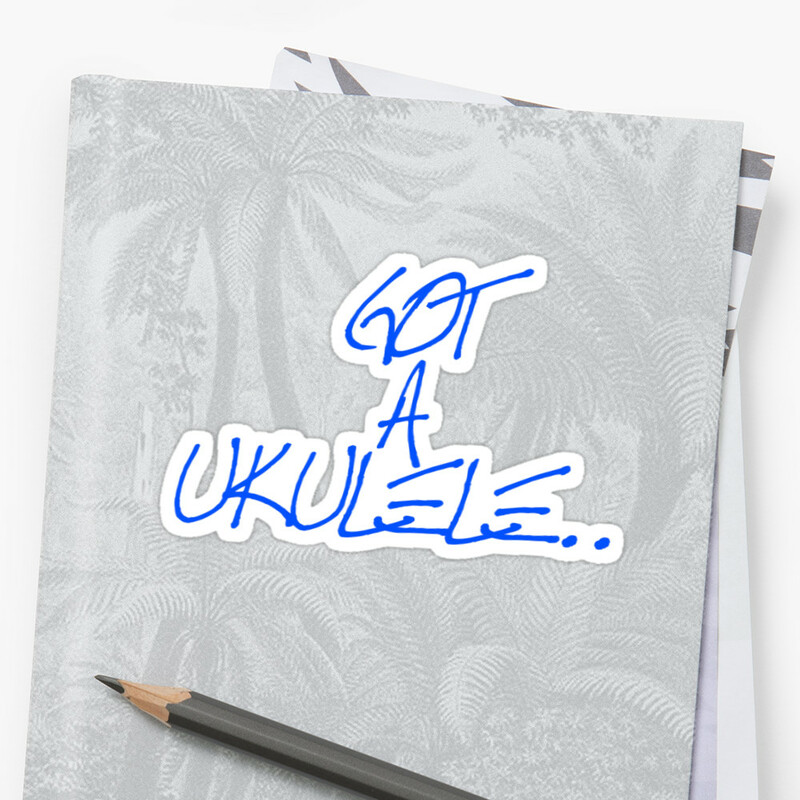 Something of a 'not quite a new musical instrument brand' to the Got A Ukulele reviews page this week. That brand is Laka and this is their VUC50EA. 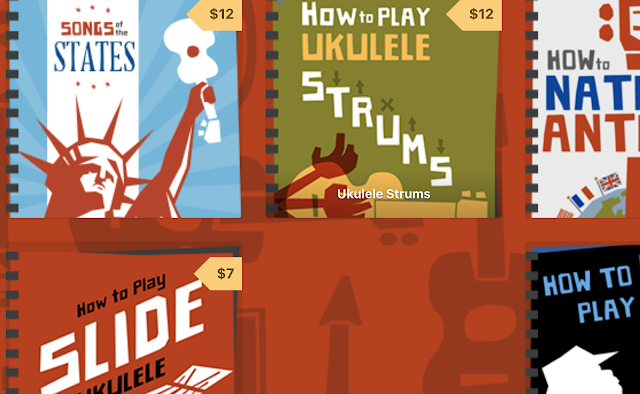 The reason I say, 'not quite a new brand' is that Laka are a ukulele range are from a parent company distributor called John Hornby Skewes (JHS) in the UK. JHS also are responsible for the ukulele brand called 'Vintage' and what confuses me with the Laka ukes is that I sometimes see them branded as 'Laka by Vintage', as if they are a subsidiary of Vintage. Maybe they are, and that is something that worried me for quite a simple reason. You see, I have played a few Vintage ukuleles, including the VUK20N Soprano and quite frankly they have been utterly dreadful things. So if Laka are a subsidiary of something I considered to be dreadful, well this doesn't bode well does it? 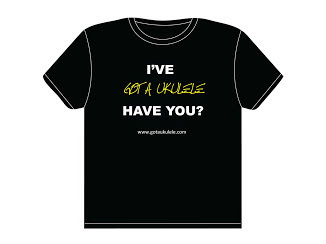 But hang on... whilst the Vintage brand ukes are the preserve of the cheap big box stores, I noticed that the Laka instruments are being carried by ukulele specialist stores in the UK that I have the utmost respect for such as Southern Ukulele Store and Duke of Uke. What's going on here? Things get more confusing when I point out that the VUC50EA is not to be confused with the similarly priced VUC50 but we will come on to that later. 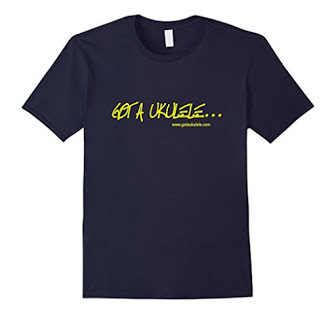 This on is the 'EA' variety and is a pretty plain looking, undecorated double bout standard shaped concert ukulele. The Laka specs suggest this is made with a solid mahogany top and laminate back and sides but I note that Southern Ukulele Store explain that this has now been updated to have a solid Nato top. Duke of Uke on the other hand are still listing it as mahogany. Whichever it is, Nato is extremely similar in look and grain to Honduran Mahogany, although it's actually the wood of the Mora tree. It's actually used as a lower cost (and more sustainable) mahogany replacement. For me, iv'e only really seen it in cheap laminate, and not in solid topped instruments, but solid top this is. The top appears to be made of two pieces with two pieces making up the sides and completely flat back also. It's made, perhaps unsurprisingly, in China. And despite it being extremely plain (there is no other decoration on this ukulele whatsoever, not even a crass tattoo engraving....), it's clearly put together nicely with no build or finish issues that I can see. I can't avoid pointing out though that the wood is extremely boring but that finish is satin and has been nicely done. The combination means that there's something really pleasing about the package. It's also thin tone wood as you can see on the edge of the sound hole. For the bridge we have a tie bar style plate made of rosewood with some attractive bottom edge detailing. The saddle is uncompensated and seems to be made of cream plastic. Elsewhere on the body you may have spied a jack socket on the lower bout. This is to connect up to the pre-installed pickup. A couple of issues, here. Firstly you probably know that I am not a fan of pre-installed pickup systems as I think you can always do better with a good after market passive strip installation. The other reason I dislike them is that they tend to involve bulk on the instruments by adding huge and heavy control panels on the side of the instrument. Thankfully though this one is a decent branded pickup (it's a Fishman Sonitone) and it does away with panels cut into the side as it uses diminutive controls inside the sound hole. I could live with that. The other issue I have though is I wince at jack sockets mounted on the thin sides of instruments like this and not into the tail block. It's just not very strong there and I have seen examples of snagged wires pulling those sockets out of the body in this position leaving a hole. Ho hum. Inside is very tidy with notched linings and thin braces. Of course you also spy the pickup control stuck just underneath the top inside the sound hole. It's a single volume dial contol, which is fine by me - the simpler the better. Up to the mahogany / nato neck and this is made from several pieces with a double stack at the heel and another joint at the headstock. It's a typical far eastern C shaped profile that I would prefer to be flatter, and the nut width is also a fairly standard (for a Concert) 35mm. The nut, like the saddle seems to be plastic. It's topped with rosewood which is in nice shape and is fitted with 19 silver frets with 14 to the body. They are all dressed well, and that is helped by the fact that edges are bound in dark wood. You get position dots at the 5th, 7th, 10th and 12th and these are complimented by side dots. No complaints with the fingerboard, in fact it feels really nice. Up to the headstock and this has a pleasingly simple curved top design. Engraved in that is the Laka logo and a cheesy derivative island motif, although that IS part of their logo I guess. I still could do without it. A first look a the tuners didn't fill me with a lot of joy.. unbranded open gears with very cheap looking and overly large pearly white plastic buttons. But in reality they work pretty well and are well above some of the cheaper open gears used by brands such as Luna. These are just smoother and more direct. I still dont like the big buttons though..
And that all comes in with Aquila strings at an RRP of £110 which is pretty terrific value for a solid top concert with a pickup I must say. Sadly, I am not seeing these on US shores so apologies to my American readers - you might need to get creative to locate one of these. To hold, it's got a nice weight to it and is balanced too. Setup was reasonable on this model but I would want to take the saddle down a touch. Where it excels though is in character. A boxy one dimensional laminate tone this is not, and it comes with decent volume, reasonably good sustain, but most of all a nice bright 'jangle' to the tone which reminds me of sopranos, yet is more resonant - like a concert SHOULD be! Of course it's not super high end tone here, but it's still really, really enjoyable and rather pretty too. Whether strummed (getting that jangle) or picked, where it's bell like I was pretty pleased with it all round. The clarity of tone is decent, and I think that this will make a nice instrument to mix in with ensemble playing or just home noodling alone. In fact I have been playing this one rather a lot. Ultimately though what I like about this one is that they have put the efforts in where it has been needed to make it SOUND pretty good without the bling. And that's before we get to the good setup and finishing. This doesn't need laser etched tattoo designs or fancy inlays. 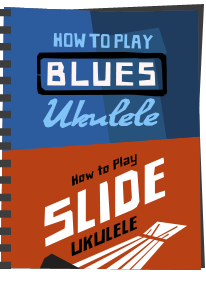 It's just a decent simple ukulele that works. And it really highlights the critisism I had recently of brands like Luna. Save the money on the fancy engravings and concentrate first and foremost on making a musical instrument well. Fans of that 'bling' will likely overlook this one, and I think that's a crying shame. Bling doesn't make tone! I'd happily recommend this one, and can see exactly why reputable dealers are willing to do the same. 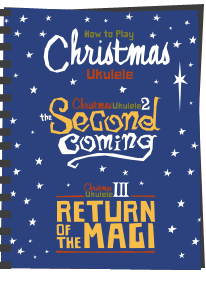 This is a very good standard concert ukulele that does what it's meant to do well. Great value and certainly not to be confused with the other Vintage brand stuff out there! However, Lardy Fat Boy agrees with you! I have a VUC50 with the permanent tuner. Fitted now with Worth Brown strings, smaller tuning pegs and the saddle shaved lower. 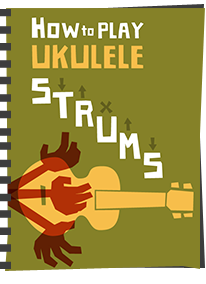 It's my preferred Uke for indoor gigs and practice sessions - feels great and other players are surprised by it's mellow sound. Yes the tuner is a novelty but I've played many ukes and I keep returning to this one!